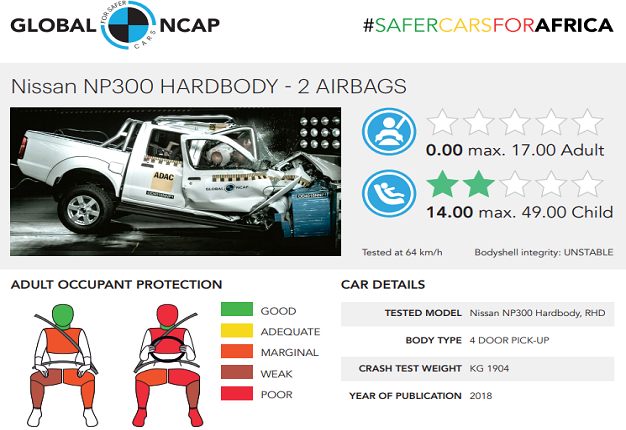 In 2017 Global NCAP and the Automobile Association of South Africa launched the #SaferCarsforAfrica campaign. 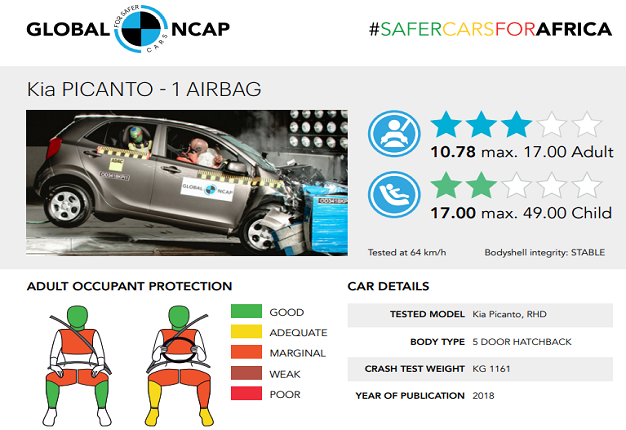 Earlier in November, the two organisations launched the second part of their project. 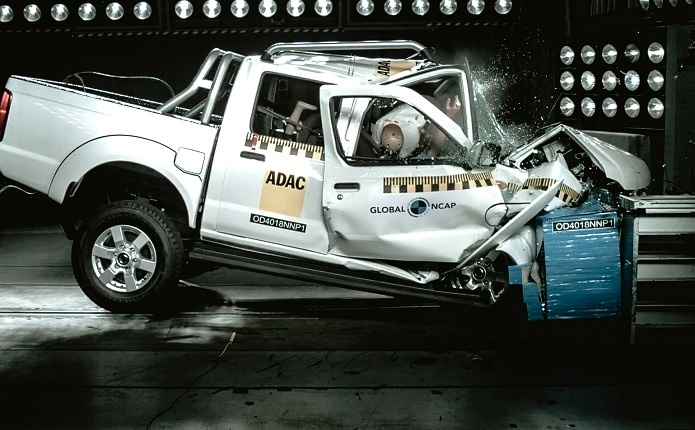 In 2018, the organisations have released their latest crash test results for another four South African vehicles. 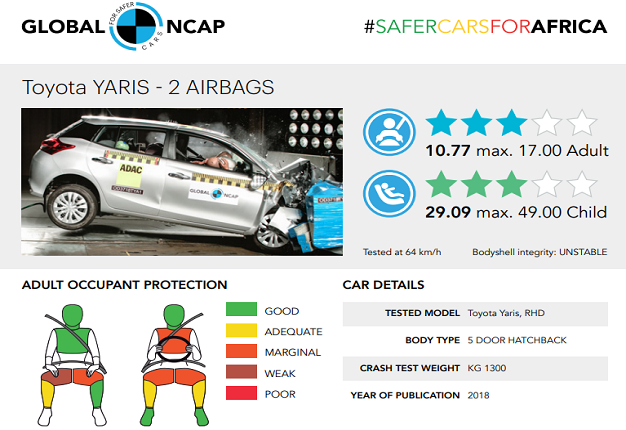 The four models tested show a wide range of safety performance, from zero to three stars for adult protection and child protection. 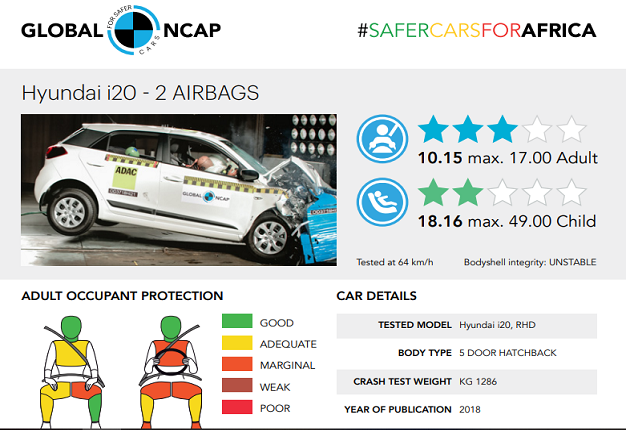 The vehicles tested in the second round of tests are the Hyundai i20, Toyota Yaris, Kia Picanto, and the Nissan NP300 bakkie.